Penn State's quest to solidify the defensive line depth chart to wrap up the 2019 class took them all the way to Europe. Joseph Appiah Darkwa was a late offer, but the big and athletic prospect was well worth the effort. Appiah Darkwa is exactly the type of high ceiling prospect that you want to get into your program. Hailing from Düsseldorf, Germany, his lack of (American) football polish is noticeable, but so is his elite level athleticism. 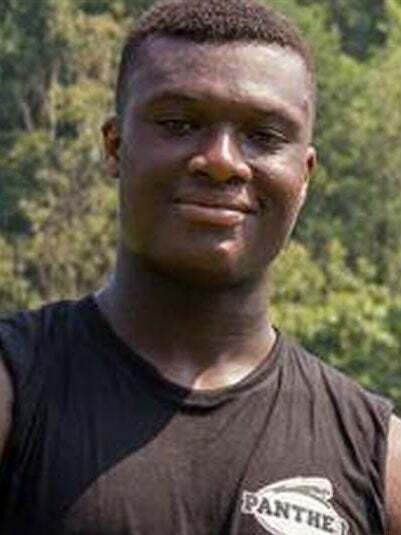 There are very few sure-fire defensive tackles in any recruiting class, especially in the 2019 group, but Appiah Darkwa has all of the tools to potentially be a huge pickup for Penn State. You cannot teach his combination of size and speed. Patience will be key for Sean Spencer, James Franklin, and Nittany Lion fans. You may not be able to teach his natural talent, but Appiah Darkwa will need to spend some time learning the finer points of his position before he's ready to contribute. While the new redshirt rule allows players to see the field for four games, don't expect that to be the case with Appiah Darkwa. He will be a traditional redshirt candidate, and probably not be ready to see the field until 2021. Welcome to Penn State, Joseph.